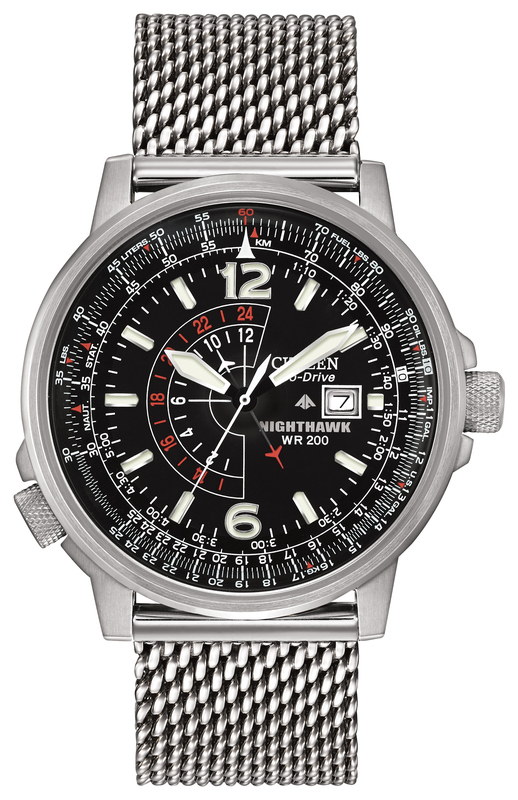 Soar to new heights with Citizen Nighthawk, a flight watch for both novice and professional pilots. 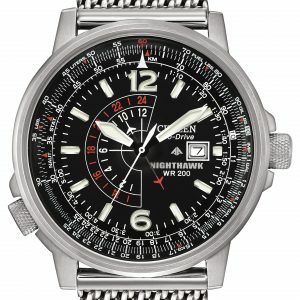 Nighthawk features a pilot’s slide rule dial ring operated by a crown at the 8 o’clock position, dual time, date and large luminous markers and hands for easy readability. 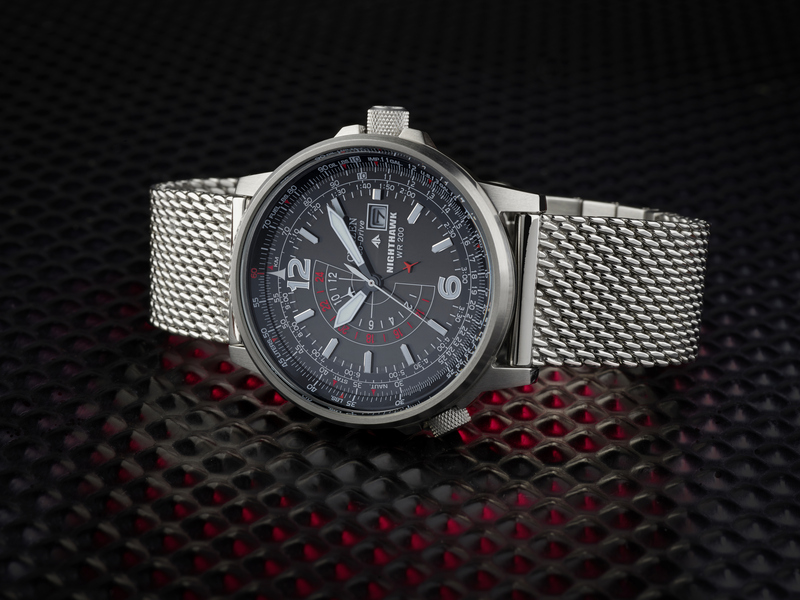 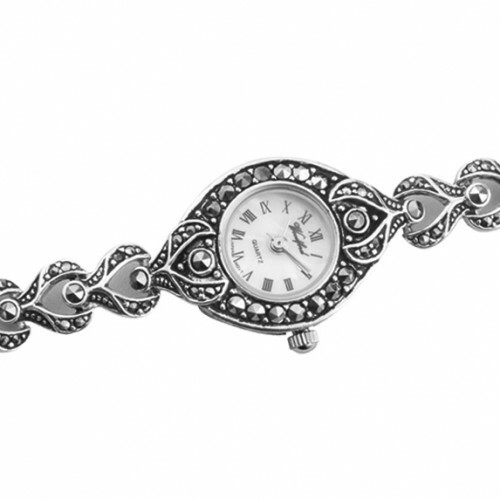 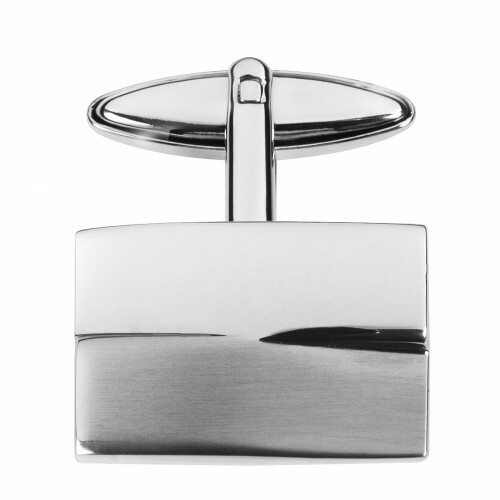 Featured here in stainless steel with a mesh bracelet, black dial and red accents.